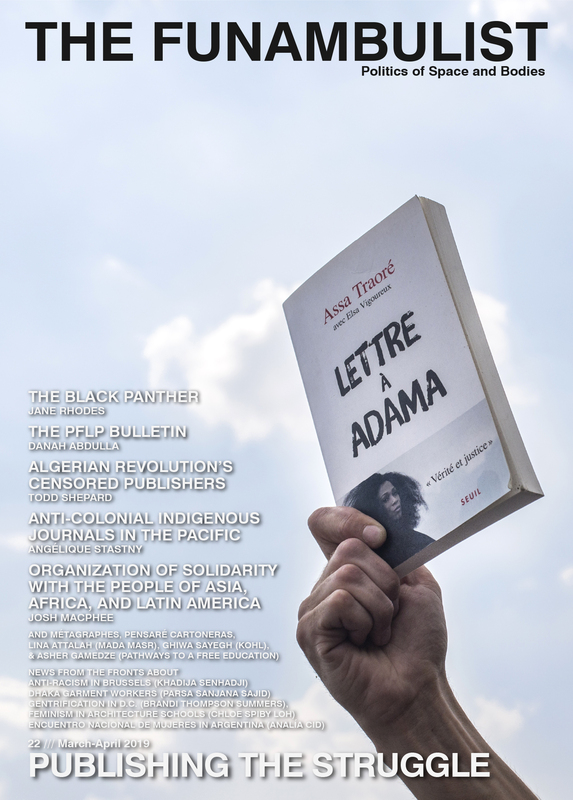 Article originally written in 2016 for an architecture book (hence the pedagogical tone to describe the space of the French colonial continuum) that was never published. In January 1, 2016, the “Grand Paris,” (Greater Paris Authority) became an official governance entity. Despite the exclusions of key banlieue (suburbs) municipalities from its territory and the many foreseeable issues that will emerge from it, the creation of the Grand Paris affords the opportunity to rethink the territoriality of the city, in particular the social and racial segregation that the Northern and Eastern banlieues have been materializing since the 1950s. Allocating these segregated spaces to its working class, in particular the one formed by racialized populations, most of whom are former colonized people or their descendants, the French State has since then maintained the banlieue population in a state of subcitizenry, often materialized and enforced through their architecture. One of the things that the fragmented governance of municipalities over a greater authority however enabled is the high local decisional degree (see such an agency in the article/map about the distribution of social housing in the Greater Paris). 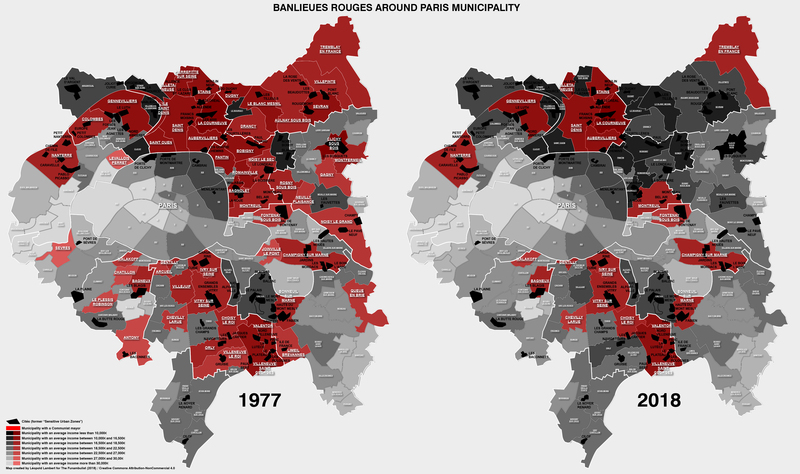 This is particularly the case of the so-called “banlieues rouges” (red suburbs); these multiple towns of North and South Paris that have been repeatedly electing a communist mayor during the second half of the 20th century. 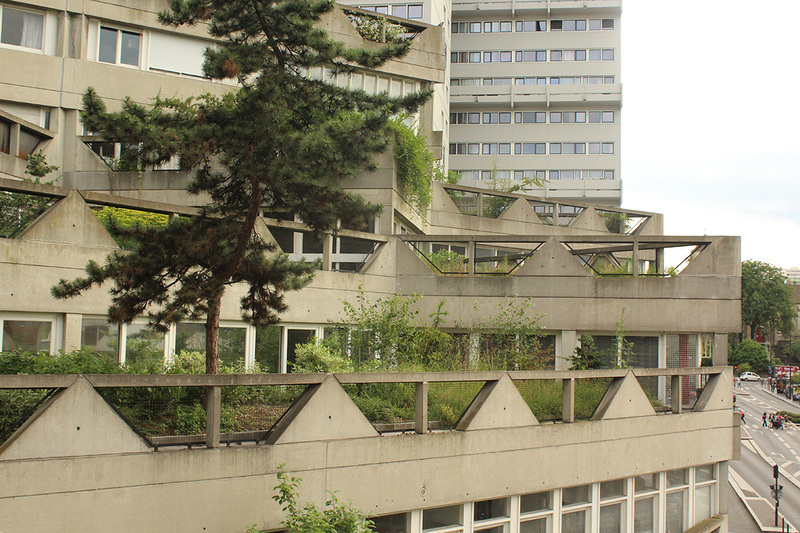 Ivry-sur-Seine, a 60,000-inhabitant municipality situated on the immediate South-East periphery of Paris municipality, is one of these “banlieues rouges.” Since the end of the Nazi occupation, its residents have indeed consistently elected mayors members of the French Communist Party. Map by Léopold Lambert (2018). One of the particularities of such municipalities is to bring a significant emphasis on social and affordable housing to accommodate their population, often in situation of economic precariousness. 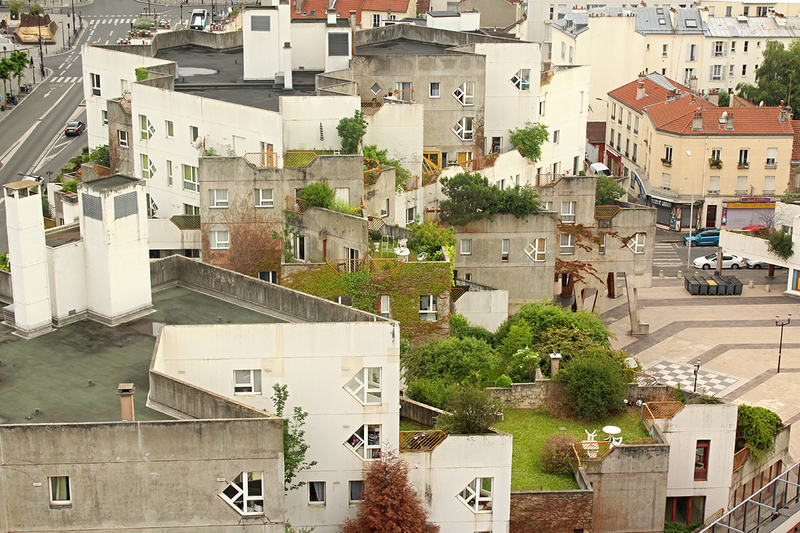 The large residential complex situated at the very center of Ivry-sur-Seine’s town was partially thought through this agenda in a municipality that counts 38% of its total housing as social one — since 2000, a piece of legislation forces municipalities of more than 3,000 inhabitants to count at least 20% of social housing on its territory before the same legislation was updated in 2013 to bring this percentage to 25% before 2025. 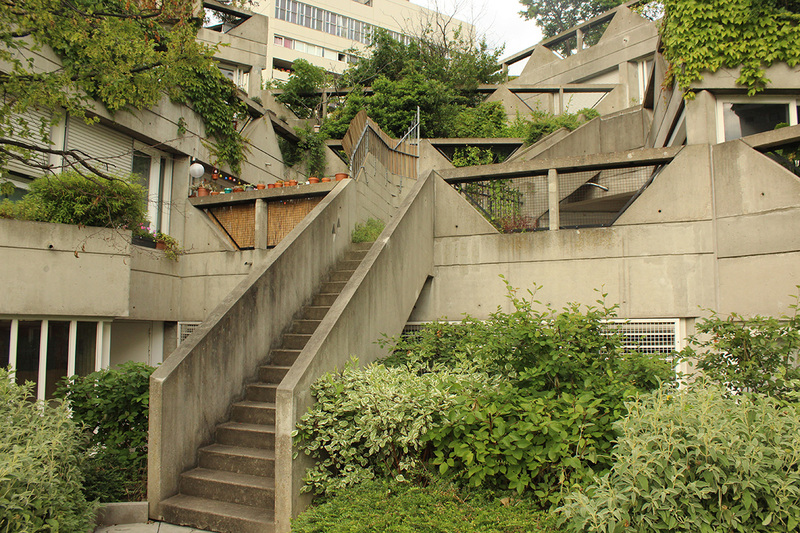 Although the most radical elements of Ivry’s architecture (social housing and co-property) are well-known to be the design of architect Jean Renaudie (1925-1981), the patriarchal history of architecture often forgets the fact that none of this architectural project would have been possible without the continuous work of Renée Gailhoustet (1929- ), first as the architect of the towers Raspail, Lénine, and Spinoza (1963-1970), then as the architect-in-chief of the town, in charge of the master plan of the 105-hectare complex, who asked Renaudie to design three of the ten buildings involved — the seven others being designed by Gailhoustet herself. Such a common omission attests of the struggle that female architects had (and continue to have) to undertake in order to see their work recognized to the same degree than their male counterparts. Admittedly, the three architectures designed by Renaudie in collaboration with Gailhoustet strike for their audacity: the buildings Danielle Casanova, Jeanne Hachette, and Jean-Baptiste Clément, named respectively after a Communist resistant to the Nazi occupation during WWII, a 16th-century French heroin, and a member of the 1871 Paris Commune. 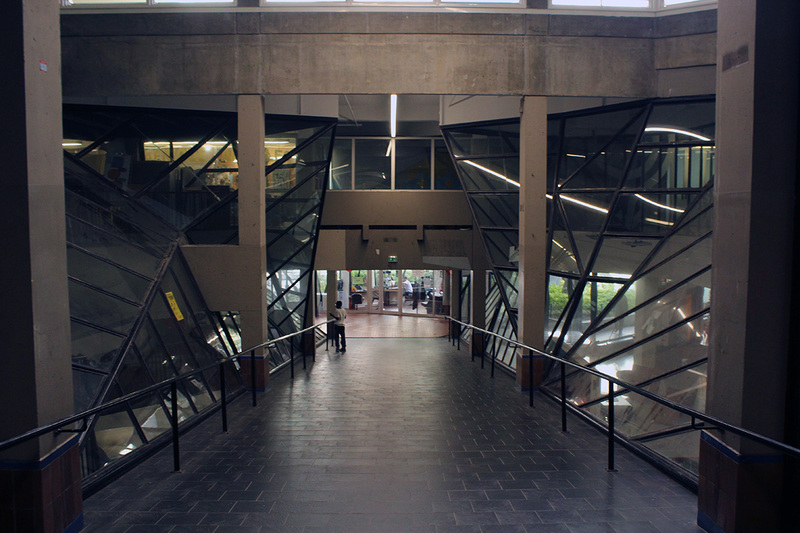 The multiplicity of sharp angles, the bare concrete, and the complexity of both public and private sections strongly contribute to the uniqueness of produced spaces advocated by Renaudie. The reception of this aesthetic is somehow ambiguous: opinions of the residents and neighbors often diverge but many seem to attribute a certain sense of ugliness to the complex, while members of the so-called “creative class” appreciate its complexity. This led the population of the co-property to switch from a ‘regular’ low middle class to young families of designers and architects, which foresees a gentrifying process exceeding the limits of Paris municipality. All however appreciate the fact that no apartment has an alter ego. 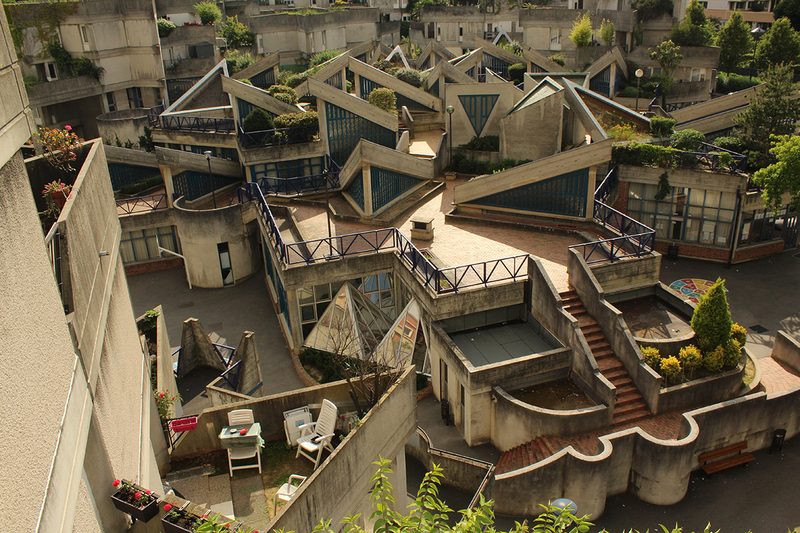 In the case of the Casanova building, this uniqueness strongly contrasts with the typical plans of banlieue social housing that tends to repeat dozens of times the same simplistic layout. This notion of plan is interesting to investigate since the buildings designed by Renaudie are resolutely insisting on the creative complexity of their planar layout, while the others, designed by Gailhoustet seem to have brought a more intense emphasis on their sections. Consequently, the Renaudie buildings have a labyrinthine quality, while the connection between the various floors are often more simple. On the contrary, Gailhoustet’s buildings involve a more ‘rational’ plan but take advantage of the multiple changes of levels to produce uniqueness. 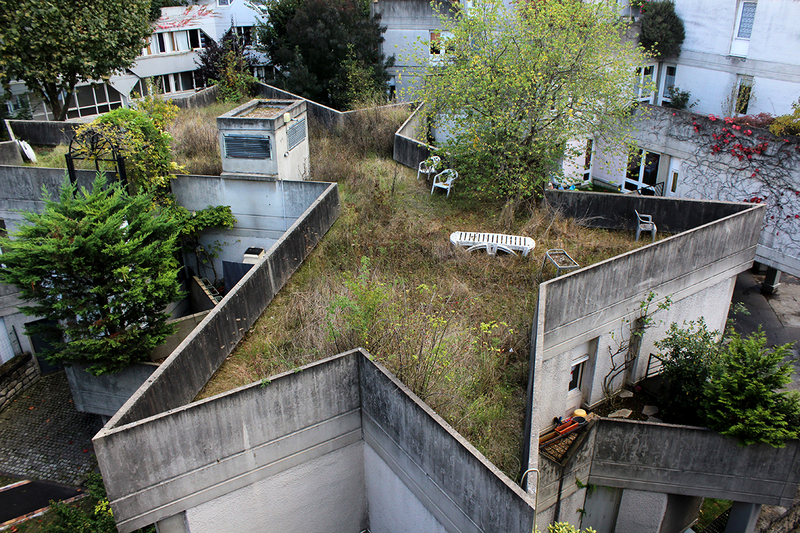 In both cases, the limits between semi-public and private spaces, in particular the generously planted gardens, are significantly blurred, thus allowing the city to penetrate within the residential complex. The ground of the complex is one its important components in both its continuity and discontinuity. While the ground of the street permeates at time within the buildings through either interior or exterior stairs or slopes, distributing each floor through semi-public pathways, the discontinued ground of the terraces and rooftops made of a cultivable earth allow small and mid-size trees and vegetation to contrast with the concrete through their breathing porosity. As such, the complex radically differentiates itself from the model of that time: the podium. 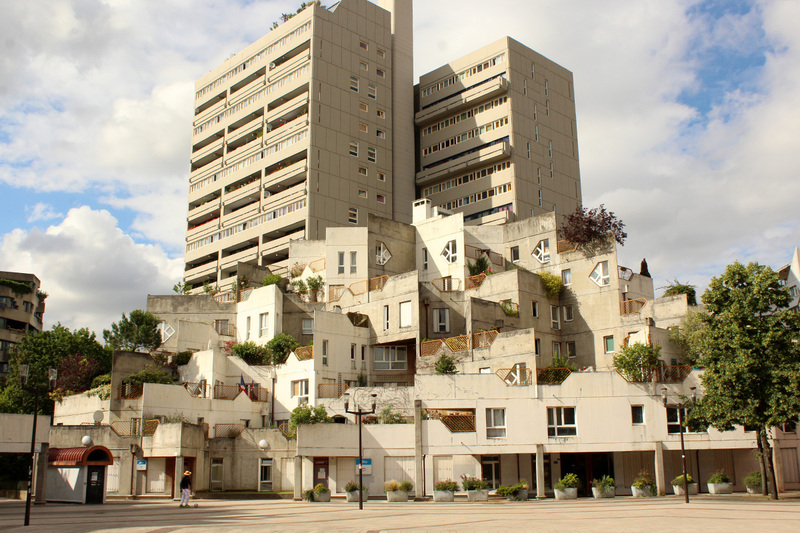 One kilometer north of the complex, the residential tower neighborhood of Les Olympiades in Paris’s 13th arrondissement, built during the same years than the Ivry complex, used such a paradigm and organized itself around a large internal podium. 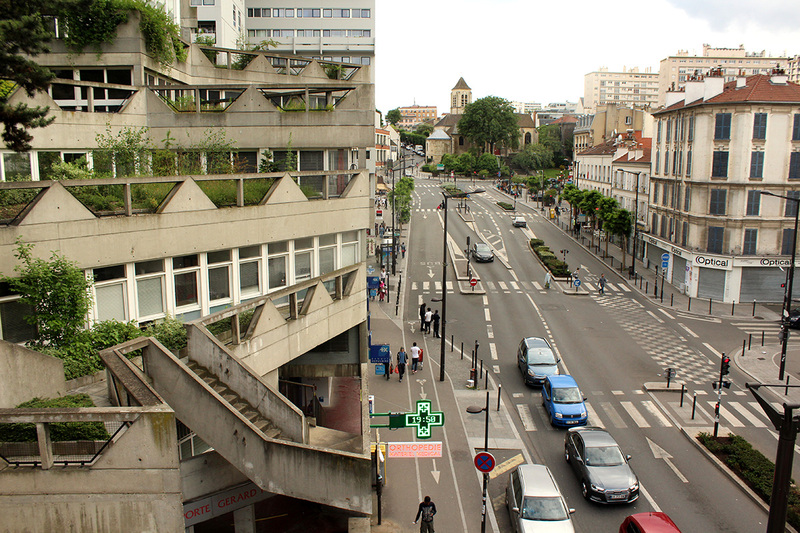 The complexity of the Ivry layout strongly contrasts with such a simplistic typology. It is as if each triangle of its ground corresponded to fragments of a larger podium that acquired their autonomy and, with it, a difference of height. Furthermore, this fragmentation of the ground allows natural light to penetrate in the lower floors where such a thing is usually impossible under a large podium. The flat ground of the Place Voltaire is also worth noticing. 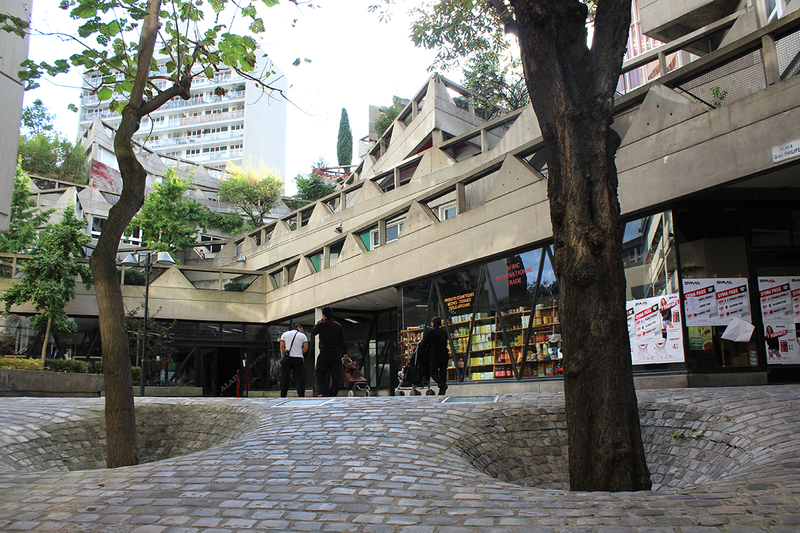 This octagon square is the negative space formed by the buildings designed by Renaudie, as well as the more recent library bearing the name of poet Antonin Artaud who died and was buried in Ivry in 1948. This public space is simultaneously a meeting point for children and teenagers chatting, playing football or doing a one-wheeler on their scooters, as well as a passage for the residents to access the subway station. It is the core of the residential complex and, by extension, of the city center as the City Hall plaza nearby seems more dedicated to a contemplation of the heritage building of the City Hall than to gather residents in a practice of the polis. 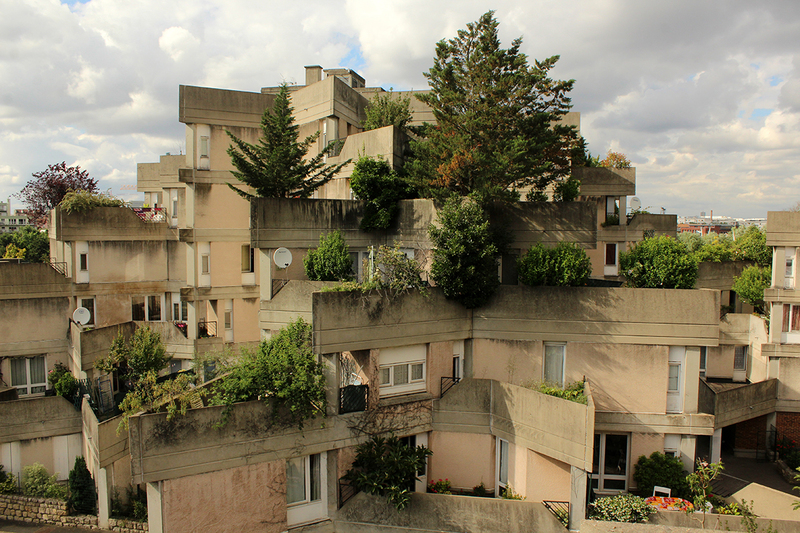 The Ivry-sur-Seine residential complex has also been instrumental beyond its territorial limits. 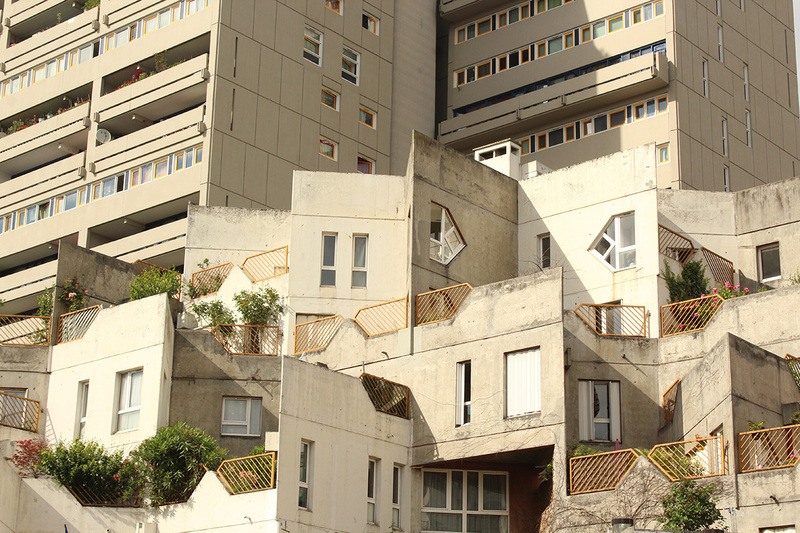 After the end of the operation, Gaihoustet was commissioned with ten additional projects, including eight in the Paris banlieues. 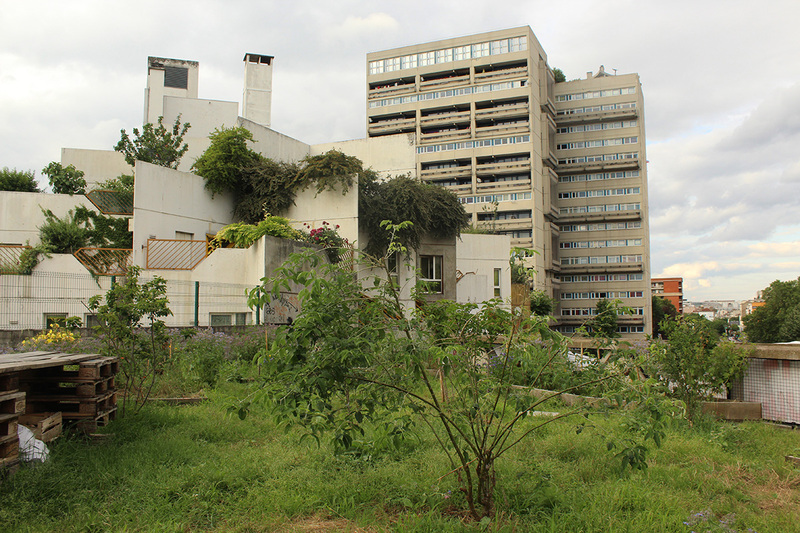 Her residential project in the city center of the charismatic city of Saint Denis (north banlieue) in particular, strikes for its numerous similarities with Ivry. Similarly, Renaudie’s methods demonstrated in Ivry, were later applied on other large scale residential projects, in particular in the context of large residential complexes in Givors and Saint-Martin-d’Hères in the South of France. 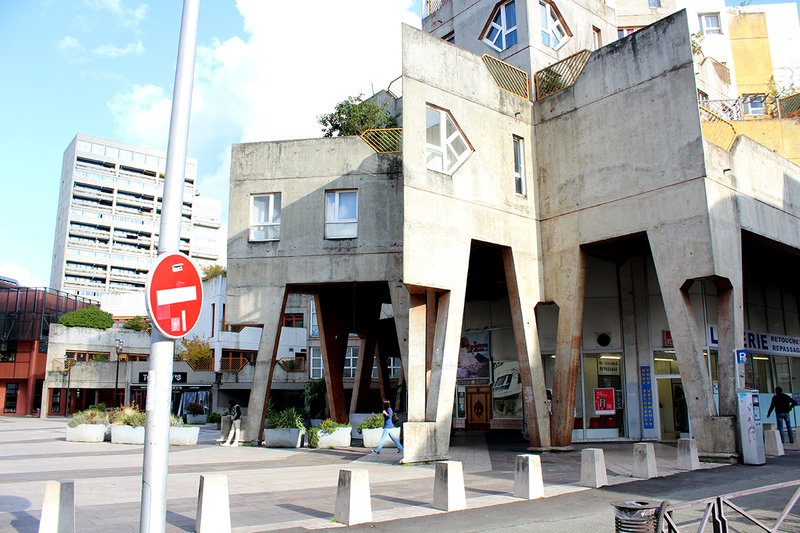 Although their aesthetics is clearly identifiable, both architects’ projects manifest the uniqueness of each (public, semi-public, and private) space created through their architecture as demonstrated in Ivry. 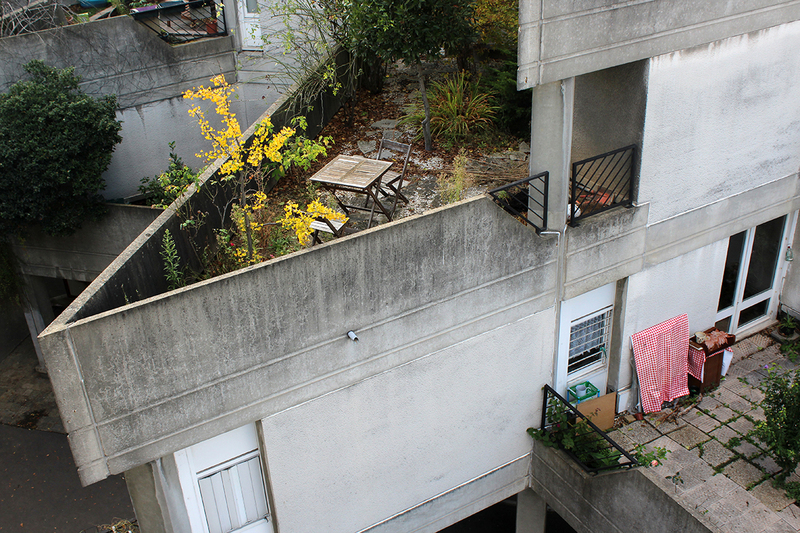 Built in spaces essentialized by Parisians as insecure and generic, such uniqueness comes as an additional affirmation that the banlieues are the actual site of creation in French cities, contrasting with the authoritarian and militarized, repetitive and frozen urban schemes such as the Hausmannian one in Paris. View of the entire residential complex as planned by Renée Gailhoustet. / Google Earth.